With plenty of moving services, Meathead Movers is fully prepared to move you comfortably into your new home. Our Norwalk movers are clean-cut student-athletes, dedicated to fulfilling all your moving needs efficiently. Welcome to Meathead Movers of Norwalk! Relatively close to the coastline, Norwalk is full of people who enjoy going to the beach and who enjoy maintaining an active lifestyle. Your next move doesn’t have to be stressful when our Norwalk movers to do all the work for you! Norwalk is a fun and active city located very close to both Los Angeles and Garden Grove. For those who enjoy the arts or sports, the Norwalk Arts and Sports Complex offers classes in fine arts and sporting activities that the whole family can enjoy. With such close proximity to the major metropolitan area of Los Angeles, Norwalk residents have several top-notch dining, shopping, and entertainment options year-round. Norwalk is also home to 36 public and 12 private schools so it is a great place to raise your family. 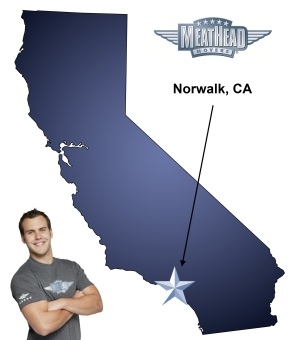 If you are considering a move to Norwalk, Meathead Movers is here to help! Our Norwalk movers specialize in local, long-distance, and commercial moves to, from, and within the area. We also provide reliable packing, storage, on-site relocations, and our distinctive moving concierge service. All our clean-cut student-athlete movers are carefully screened, selected, and trained to offer superlative service. They don’t do drugs, they don’t smoke, and they will always hustle as hard for you as they would for their coach. In fact, they’ll jog to and from the truck when they’re not carrying any of your items! While other Norwalk movers might hire day laborers to meet the truck at its final destination, our team of student-athlete movers will be with you throughout the entire process to ensure accountability and quality. When you entrust your move to Meathead, you can rest assured knowing that your move will be a success because our professionally trained student-athlete movers are the best movers the industry has to offer. With our 100% satisfaction guarantee, the only thing you have to lose is the stress that comes from moving! So contact us today for a free moving quote and to learn how we can help you on your next move! Moving to Norwalk? Here are some helpful resources. “Your associates were extremely personable. Your associates were extremely personable. And worked at a higher than expected pace.